Avalon is proud to be celebrating over 15 years in the Beach! The Montessori Casa program provides a prepared environment for children ages 2 1/2 to 6 years. 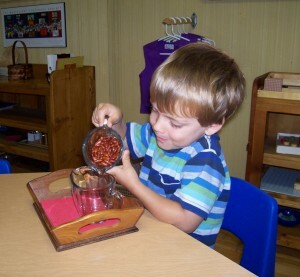 The didactic materials used in the classroom are based on the pedagogy developed by Dr. Maria Montessori, and aid the child in the learning process. Spontaneous and self-directed learning is fostered in this non-competitive environment. Children are free to work independently or in collaboration with peers, gaining important social skills. Self-esteem and confidence develop as children explore with the materials and master important developmental skills. activities help the child make sense of the impressions they receive from the world around them. Exploring with these materials will develop and refine the child’s senses while providing a foundation for math and writing. Mathematics materials provide a concrete understanding of number concepts and operations. 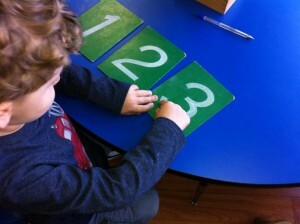 The materials allow the child to explore the two aspects of a number – quantity and symbol. There are opportunities for further discovery of the Decimal system, and the operations of addition, subtraction, multiplication and division. Language is an integral part of the Montessori Casa classroom and is fostered through encouragement of self-expression, lessons and freedom of conversation.The language materials introduce the phonetic sound of each letter in the alphabet. Using these sounds, the child is able to build words, thus begins the process of reading. Along with preparatory exercises in Practical Life and Sensorial Education, language materials also foster muscle control for printing. opens the child’s eyes to the dynamic and diverse world around them. These materials include the subjects of Geography, History, Zoology, Botany and Science. We also include activities such as music, art, physical education and field trips as part of our casa curriculum.